Is Leonardo DiCaprio the next George Clooney when it comes to marriage? 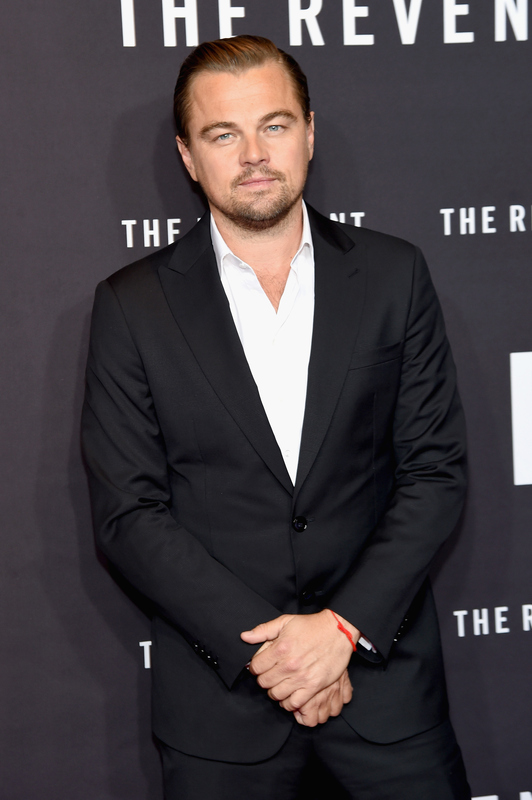 The Revenant actor is now 41, dates models left and right, and has yet to tie the knot. Of course, there is nothing wrong with that, especially if he's happy with his life. That said, does the actor (who is still considered a heartthrob) ever want to get married? It's hard to say for certain, but one thing is for sure and that is Leonardo DiCaprio's stance on marriage explains a lot about his love life. In an interview with Parade magazine, the Golden Globe-winning actor opened up about whether or not he believes in marriage — and his words are telling. He said, "That time will come when that time comes. The truth is, you can’t predict marriage. You can’t plan it. It’s just going to happen when it happens." This isn't the first time DiCaprio's spoken similar words about marriage. In 2014, while chatting with CBS News, he said, "I mean, the truth is, it's gonna happen when it's gonna happen. And — and I — I — you know, I'm just gonna let it happen naturally." Obviously, he is a big believer in fate. There are many individuals who say, "It was love at first sight" or "It's hard to explain, but when you meet the right person, you'll know." That's kind of what DiCaprio's saying, right? Furthermore, in 2014, he told the CBS Sunday Morning show about whether or not he will ever walk down the aisle, "I think everybody, well, not everybody, but I think that, you know, eventually when the time is right, absolutely, yeah." He's given pretty much the same exact response every time the topic of marriage has been brought up, which speaks volumes about his girlfriends, who come and go frequently. I mean, he reportedly is no longer with Kelly Rohrbach. It's probably mind-boggling to his fans why he hasn't married anyone yet, especially when he dated both Gisele Bündchen and Bar Refaeli for quite a long time. Clearly, DiCaprio just hasn't found the right woman, yet. None of his past loves have been "the one," which is why marriage hasn't happened. Heck, that's probably a good thing, or he might have a few divorces under his belt. So, next time you shake your head that DiCaprio is a serial dater who needs to settle down already, don't. He knows who and what he wants. If he ends up getting married in his 40s, great. But, if doesn't say "I do" until he's in his 50s, 60s, or 70s, that's up to him. Hey, he might never get married, and that's OK, because that's his decision. DiCarpio isn't one to settle down, just to settle down — and I admire him greatly for that. Some may think he's definitely not interested in taking the next major step in a relationship, but if the Titanic star didn't want to get married, I think he'd say so. It just seems like he hasn't found that one special person who he wants to spend forever with, which might also be why he dates so much. Maybe he's trying to. As Clooney said during the 2015 Golden Globes, while accepting the Cecil B. DeMille Lifetime Achievement Award, "It's a humbling thing when you find someone to love. Even better if you've been waiting your whole life." If Clooney can find one person to love for the rest of his life at 53, so can DiCaprio.